Confessions of a Technophile – Page 2 – Views from the intersection of technology, culture and business. Views from the intersection of technology, culture and business. Have You Niched Down Yet? 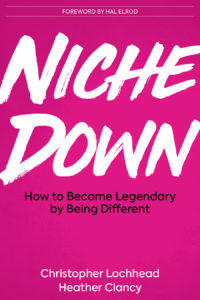 It’s odd to realize that my first ever book, Niche Down (How to Become Legendary by Being Different), with Legends & Losers podcast host Christopher Lochhead has been officially on sale for a whole week. So far, the feedback has been humbling: we’ve been cycling through the #1 bestseller spot for the entrepreneurship and small business categories since the launch. (Right now, we’re #1 in new releases.) 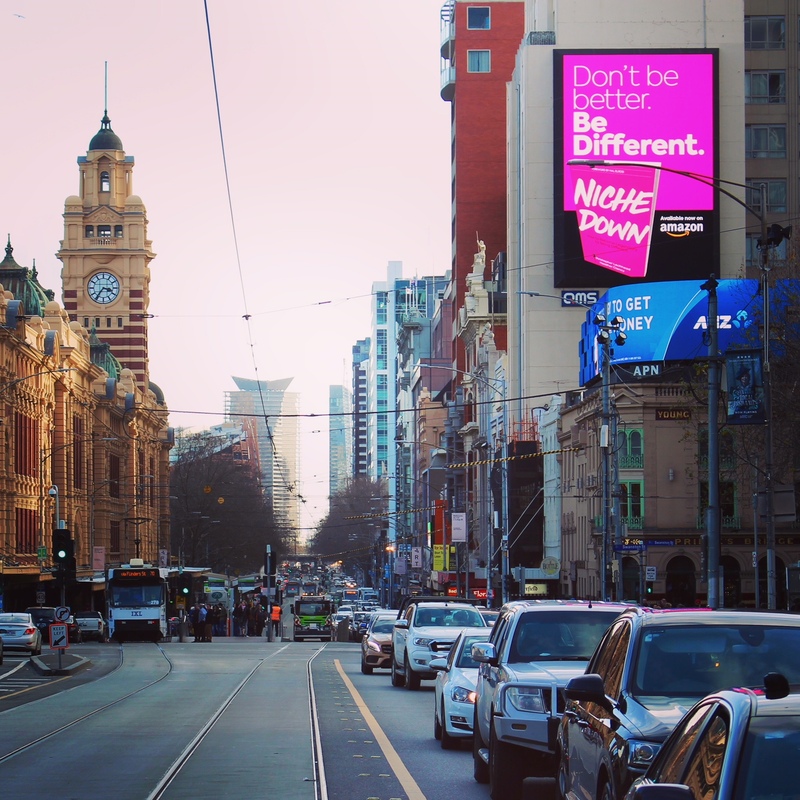 And, check it out: someone even donated a billboard in Melbourne, Australia, to help get the word out! Thanks to our marketing entrepreneur friend, Vaughn O’Connor, for this stunt down under. He apparently is Christopher’s kindred spirit when it comes to lightning-strike marketing tactics. I’m pausing for some vacation until early August, but just wanted to say thanks for making my birthday extra special this year. I’ll be back with book excerpts and such after my return. Thrilled to report that all the editing is complete. Most of the technical hurdles surmounted. A legendary book launch of Niche Down: How to Become Legendary By Being Different, is just around the corner. I think hot pink is a marvelous cover color, don’t you? If you’re interested in a free review copy, please send me a note. I’ll send you the draft, and a link where you can leave your feedback. Act now, as this offer expires by EOD (New Jersey time!) on Monday, July 16. So, I’m finally doing it. My long-time friend and legendary CMO Christopher Lochhead (that’s awesome retired marketing guru to you acronym-phobes) has convinced me to help give voice to his second book. The thesis is pretty simple: the most successful ventures you know — whether it’s the small biz down the street or a mega-corp with a multi-billion-dollar market capitalization — don’t try to compete on price. They got to where they are by solving a problem in a unique way, and “niching down” to capture the conversation around it. You hear about the big guys and gals all the time. (That’s the focus of the first book about category design co-authored by Christopher, Play Bigger.) This new tome is dedicated to solo-preneurs and new ventures that fall into the “small e” category of entrepreneurship. A bit of trivia: the first regular freelance gig that I landed out of university many years ago for a now-defunct trade magazine involved profiling entrepreneurs. It hooked me. That led me to a long-time collaboration with Entrepreneur magazine, and I’ve lived and breathed tech startup-dom for close to three decades. That’s where I met Christopher. YIKES! I’ve been asked to co-author books before, but nothing has ever caught my heart like this project. No more playing coy. So, here I am, doing something I’ve never done before in my life. You’re never too old! Tell him what you think, with a review on your fave podcast platform. So easy! Want to start a dialogue in private? Reach out via my contact form. Generally, you know a company is “serious” about a strategy when they march the chief executive officer out to be the mouthpiece or the face of it. Or at least that’s what the marketing gurus and guru-esses hope. Amazon’s proclamation was along the lines of several it has issued over the past two years, trumpeting a contract to buy the power from yet another wind farm in Texas (its largest deal yet). This is a seriously huge facility, more than 100 turbines, each of them more than 300 feet tall. The capacity is 253 megawatts of electricity, which means it can generate 1,000,000 megawatt-hours of power annually. 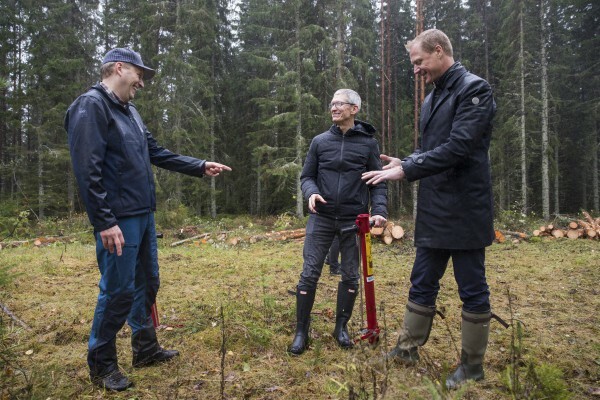 The second photo is less dramatic, but also far more unexpected: what the heck is Apple CEO Tim Cook doing in a Swedish forest, planting trees? It turns out that the company that publicized the visit, Iggesund Paperboard, is one of Apple’s biggest packaging suppliers — a company originally selected by the tech giant’s founder, Steve Jobs. The material is called Invercote. 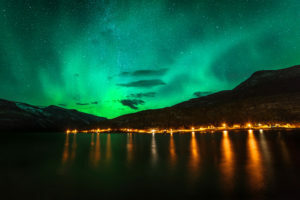 The parent company, Holmen, is listed on the United Nations Global Compact Index of the world’s most sustainable companies. The predecessor firm to Iggesund has actually been around since 1685. Given Apple’s legacy of being relatively mum about pretty much everything until it is good and ready to talk, Cook’s willingness to give its supplier such a great photo opp is all the more notable. But lo and behold, the company just released an updated statement about its packaging strategy in October, with heightened attention to the forests where it sources virgin fiber. Sweden isn’t the only place it’s watching: Apple is working with World Wildlife Fund to transition suppliers in China to more sustainable forestry practices. Is that the next photo opp? This post has absolutely nothing to do with the core “mission” of this blog, at least overtly. Covertly, however, I love the idea that The New York Times is willing to send a writer to all of its “52 Places to Go” list! Their mission: “parachute into a place and distill its essence and to render a compelling tale with words and images.” My birthplace is one of the destinations. Can you guess it? It’s not clear whether the editorial staff is picking a new list for 2018, but this year’s “itinerary” is pretty daunting. As a diver, I’ve longed to visit the Maldives for many years, especially since it’s imperiled by the rising oceans. 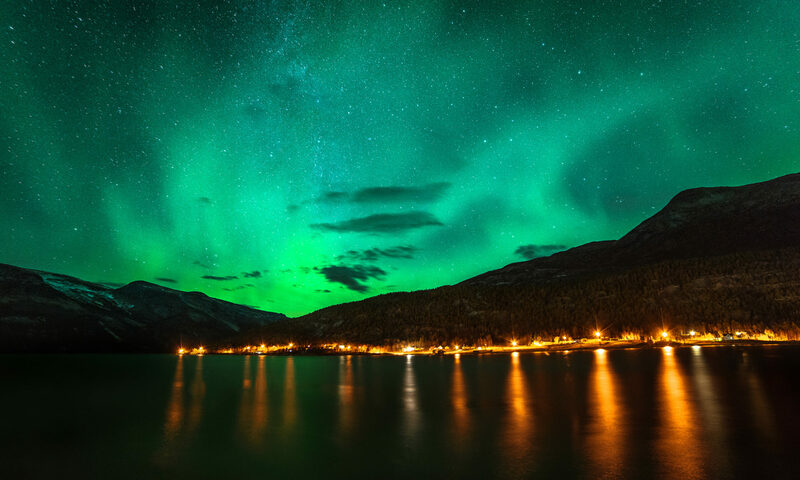 The Northern Lights in Norway are also on my bucket list. I would be terrified to return to the Great Barrier Reef, because I am sure the coral degradation there will break my heart. It’s the first place I went on a big diving trip, 15 years ago. The world could benefit a great deal from more empathy, and once a place seeps into your soul, it’s impossible not to feel something about it. I can’t wait to see what truly extraordinary person they hire, because I will read every article. Which place would you visit first? In this case, I’ll let the image below do the talking. Gratefully borrowed from Matthew Savage/Flickr. Apparently, I have far more readers at my modest and very neglected personal blog, Technophile, than I heretofore realized. I just discovered dozens of messages trapped in Ninja forms purgatory. So, first, my apologies to those who never heard from me when you reached out many months ago. Second, I’m going through your messages now, with an eye to responding to those who have stories I’d be interested in telling. You have been warned. And third, I’m paying more attention now. You can expect more opining here soon that is related to, but not entirely appropriate for my “real” soapbox at GreenBiz. On this Easter morning, it seems relevant to reflect on the theme of faith — a belief or conviction based on “spiritual apprehension” rather than proof. Faith is the foundation of every religion, of course, the reverse of the “seeing is believing” adage. It’s an emotion I find myself drawing on often in these strange times. The “faith” I cling to most fiercely of late is this: that despite the current administration’s decision to abandon leadership when it comes to protecting the planet from humankind’s negative impact on our air, water and soil, many of our country’s most important companies and cities will continue to blaze the path ahead. I’m not naive enough to believe this behavior is entirely altruistic, but the economics favor these investments. The broader theme of social inclusion is also becoming ingrained in the investments some of the world’s largest businesses are making. For perspective, the organization’s endowment is $12 billion, so this isn’t a majority of the money it controls. But $1 billion is a substantial sum of money. It is deeply rooted in our ongoing program work to build more inclusive economies, help mature the impact investing sector, and fulfill our special obligation to help move market-based economies toward “the high road”—squaring the dynamism of markets with society’s highest values, especially fairness and human dignity. It remains to be seen whether Ford’s decision is an outlier or the fore-runner of a broader shift in how many of the big corporate foundations allocated their funds. The framework of tax laws will doubtless shape those decisions, especially since it’s difficult to “prove” the value of some of these investments. It’s a question of faith. Can You Name the Top 10 Solar Buyers? 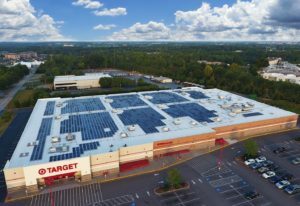 It probably won’t surprise you to discover that many of the companies investing in on-site solar technology—rather than waiting around for their local utility to start selling clean power—are either retailers or real estate investment firms. The Solar Energy Industries Association keeps tabs on this with an annual ranking. Most of the names on that list are pretty familiar, such as Target (No. 1) and Walmart (a close No. 2). Others, not so much. Over the past several months, I’ve interviewed two of those “others” — industrial warehouse giant Prologis, which is third on the list (its total capacity is now smaller than when I wrote my story), and luxury mall operator General Growth Properties (GGP), which is ninth. One thing that struck me most about my chat with GGP was the simple fact that it was the chief operating officer who handled the interview. Believe me, these investments were considered carefully — right now about 20 of the company’s malls sport solar panels, and another 30 projects or so are in the pipeline. The states where they are located are diverse: although the company began experimenting first in New Jersey and Hawaii, mainly because that’s where the financial case was strongest to begin. Every single one of them is metered carefully, using software that keeps tabs on electricity consumption down to the outlet. For me, this intention to detail is another indication that many of the investments that businesses are making in solar and wind energy are predicated as much on their economic practicality as they are driven by an interest in doing the right thing. Slowly but surely. What discourages homeowners from investing in solar power generation technology? Cost is certainly the most obvious obstacle, but there’s also a certain snobbery involved. Seriously, most solar panels aren’t all the aesthetically pleasing. No matter how much my contractor-husband appreciates the idea of clean energy, he winces when he sees them. The good news: Elon Musk, the entrepreneurial billionaire behind both electric vehicle company Tesla and clean energy installer SolarCity, hopes to change that perception with a new SolarCity product that embeds the generation technology right into the roof tiles. The not-so-good news: Musk conveniently neglected to mention when his so-called solar roof will be available. Solar roofs (aka “building integrated photovoltaic” technologies) aren’t a new idea: more high-profile new buildings are including BIPV features such as the San Francisco 49ers stadium in Santa Clara, California; and the flagship Apple store in San Francisco’s Union Square, which includes PV panels that are integrated into the roof design. But there’s something to be said for brand recognition, something that both SolarCity and Tesla have managed to generate. The data in question, which comes from a media agency, Zenith, was collected to support the case for mobile advertising within the apps used most frequently on mobile devices — social networks and navigation software (aka maps) among them. While I certainly agree with that focus, there’s no way that I’m going to convince my husband that he should stare at a teeny-tiny tablet to watch one of the action flicks that he prefers. Nor do I believe that my binge-watching friends are putting their eyes to strain. Given the bandwidth-hogging nature of streaming video and the couch-potato tendencies of binge-watchers, I really wonder how accurate that three-quarters number can be.